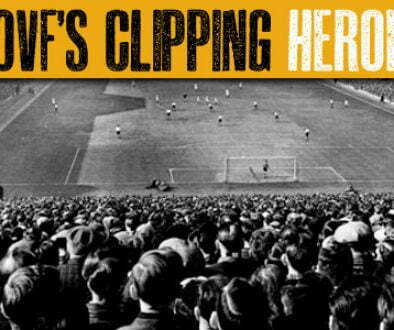 To commemorate the sixtieth anniversary of Port Vale’s FA Cup semi-final appearances, here is a documentary video on that legendary Iron Curtain side. 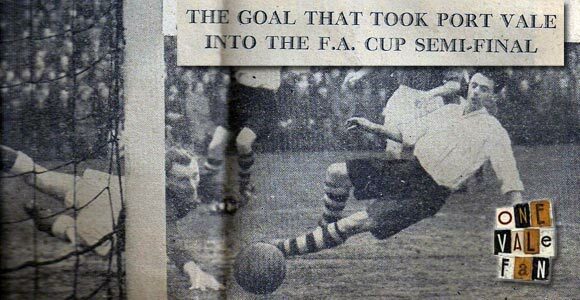 The following is a brief documentary on the 1954 Iron Curtain Port Vale side, which won a record-breaking promotion, defeated Stanley Matthews’ Blackpool in a famous FA Cup giantkilling and reached the FA Cup semi-final only to controversially lose to West Brom. 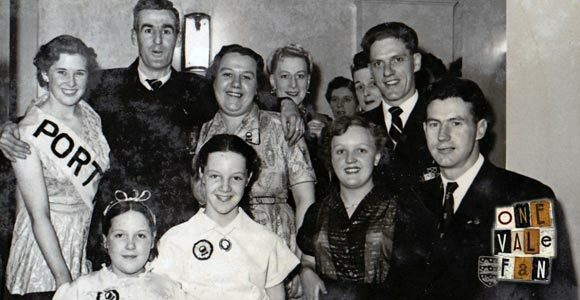 This is from the “Up the Vale” video kindly supplied to OVF by Stuart Dean. 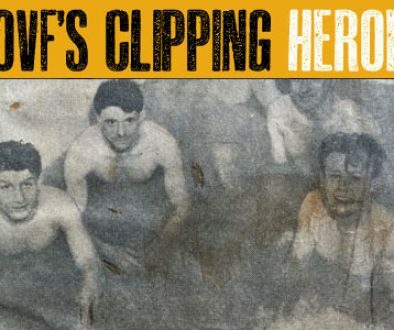 Click play to watch it. 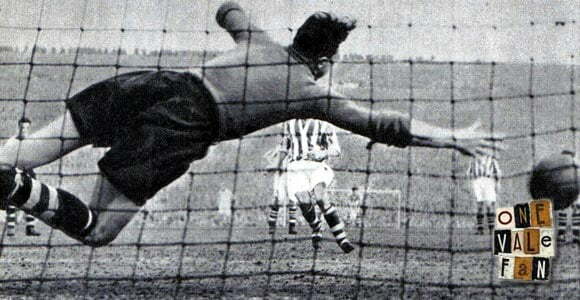 For more on the Iron Curtain side, click on the features below. 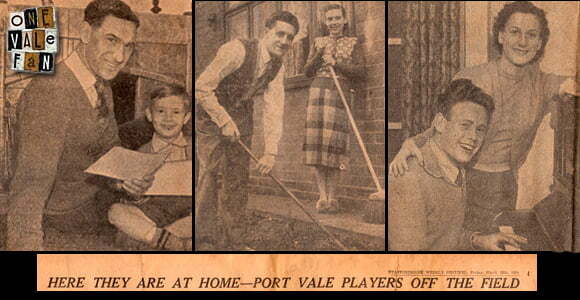 Following on from the “players at home” feature, here are several more clippings from the Sentinel’s special on Port Vale’s 1954 FA Cup semi-final against West Bromwich Albion. 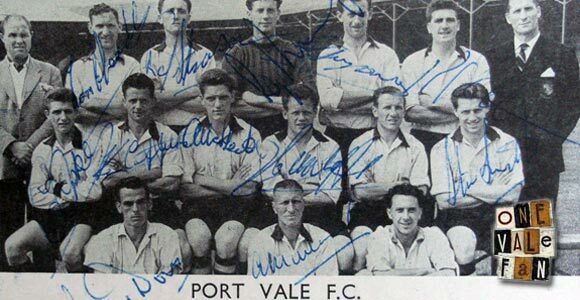 Thanks to Pete T, we have some photos of Vale fan Geoff Austin’s autograph book from which dates back to the 1950’s. 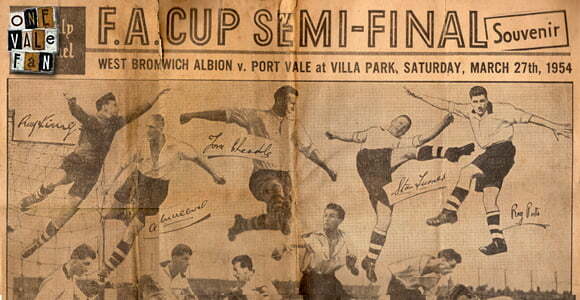 It contains autographs of both Vale and Stoke players from that era. 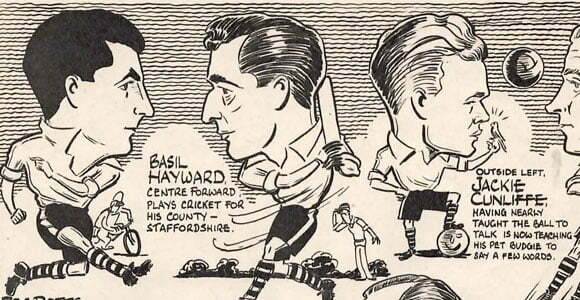 OVF is proud to reproduce a vintage cartoon from the March 1954 edition of Charles Buchan’s Football Monthly. 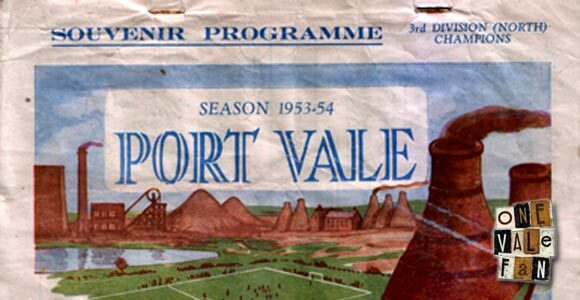 It celebrates the achievements of Port Vale’s legendary 1954 Iron Curtain side. 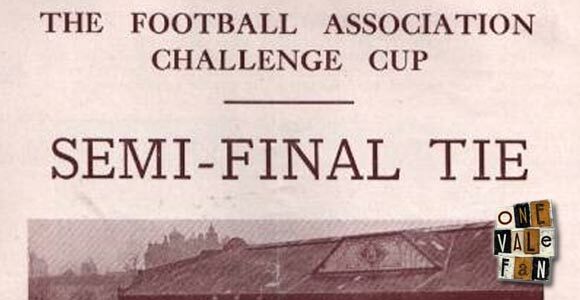 Paul Humphreys has kindly provided the onevalefan viewers with the opportunity to leaf through the pages of a souvenir programme from the glorious 1954 Iron Curtain campaign. 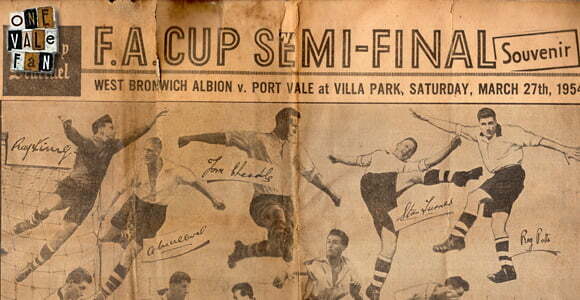 We present exclusive images from the programme for Vale’s biggest-ever match, the FA Cup semi-final against West Brom in 1954. 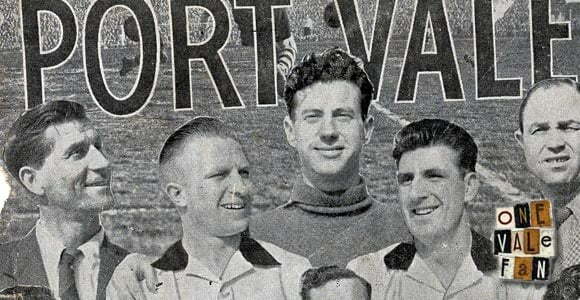 In 2000, OVF managed to speak to Ray King, a genuine Port Vale legend, who played in Vale’s FA Cup semi-final side. 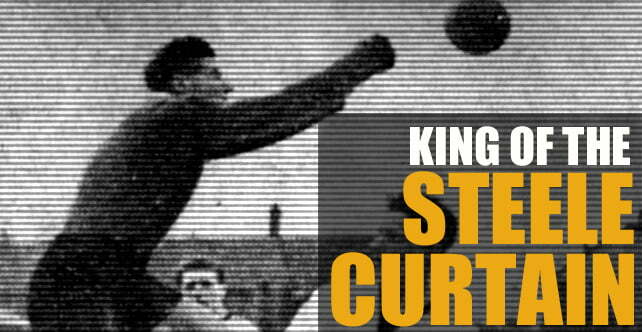 Read the great man’s thoughts.